We carry the names you trust to beat the toughest heat spell. As an added bonus, your air conditioning unit will also remove the humidity from your indoor environment for an added degree of comfort. if you’re operating an inefficient system that breaks down a lot, it’s likely that it’s going to break down again. That means more expensive emergency service calls or possible damage to the other components of your heating and cooling system. Cooling efficiency for your air conditioner is indicated by its SEER (Seasonal Energy Efficiency Ratio) rating, which tells you how efficiently your unit uses electricity. In general, the higher the SEER rating, the less electricity your unit will use to cool your home. The typical SEER rating of units made before 1992 is about 6.0. In 1992, the government established the minimum cooling efficiency standard for units installed in new homes at 10.0 SEER. High-efficiency units have a SEER of at least 14; the maximum available is about 18. 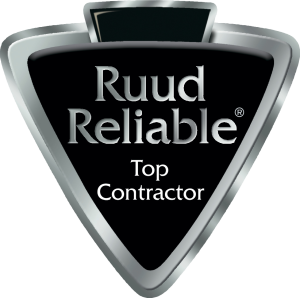 View our personal Ruud products page. Contact us today to find out more about our wide range of efficient, quiet-running air conditioners and heat pumps that will help make your indoor environment a really cool place to be.